Two hikers were walking through the woods when they noticed a bear looking hungrily at them. The both stopped in their tracks, and the first hiker slowly removed his trail boots and began to lace up his running shoes. The second hiker hissed, "Why are you changing out of your boots? You can't outrun a bear." 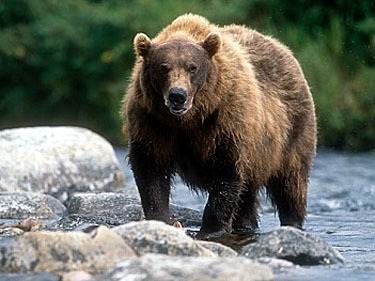 The first hiker replied, "I don't have to outrun the bear - I only have to outrun you."